What taxes? What bad weather? What crisis? At Cineffable, we leave our troubles outside and we keep each other warm. So come on in! Like every year, some women will hesitantly discover the festival, and others will enthusiastically return. Some are long-time activists, others new lesbians. Welcome to you all. And then there are other women who change jobs: ushers, barmaids, cashiers, sign-language interpreters, exceptional cooks and still others who just choose to call themselves: "festival-goers". To all of you, our thanks. There are some women who already know that three days amongst ourselves is a hard-earned pleasure, and that when we say lesbians make movies we're not bluffing. There are women who get politicized, mobilized and visibilized (and others who don't like to be -ized). But each and every one of them enjoy the privilege of being women at the heart of a festival that, because each outburst of anger and each discovery nourishes the community, is enriched by all that diversity. This year, the festival only lasts three and half days. 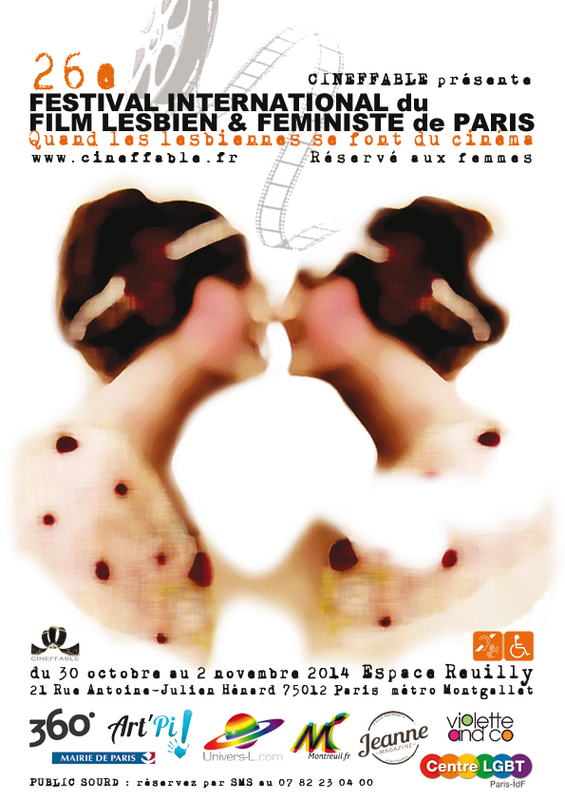 Each screening is unique: an activist, feminist and/or lesbian jewel! Don't miss a single moment of this program! Once again, directors from the four corners of the globe (Russia, the Philippines, Guatemala, Brazil, etc.) 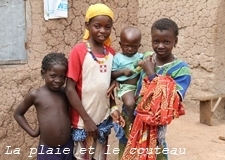 will present the situation in their country through fiction or documentaries. Make the most of this opportunity to meet a dozen of them at the festival. 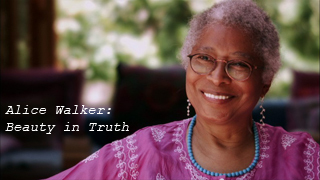 We'll get the ball rolling with Alice Walker: Beauty in Truth, the latest documentary from Pratibha Parmar, award-winning director of international reputation. The screening, in partnership with Violette&Co, will be a perfect way of celebrating the bookstore's 20th birthday. This opening screening will be "jazzed" up with a concert by the four energetic women of Eau'rageuses, and will also include a tribute the director Maria Klonaris, who passed away this year. 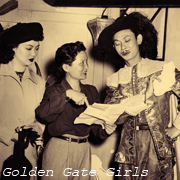 Discover cultural pioneers: the documentary Golden Gate Girls introduces the first Hongkongese, lesbian director in the United States. The Punk Singer transports us to the musical and feminist world of Kathleen Hanna, founder of the Riot Grrrl movement and the groups Bikini Kill and Le Tigre. The documentary about Cassandra Rios* reveals the most censured author in Brazil, a woman who dared to speak of lesbian desire in the midst of the military dictatorship. Members of different Paris area Roller Derby teams will welcome you on roller skates at the projection of the documentary Derby Crazy Love* which takes us to the heart of this sport! 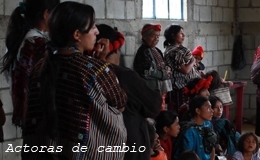 At the "Actrices du changement" * screening, be prepared to be bowled over by the work of a women's collective from Guatemala and by the first-person accounts in the documentary La plaie et le couteau, which raises the veil on excision. Films full of hope and beauty on serious subjects. Follow the adventures of the heart and the body about maternity in the lovely Romeo Romeo and the fight for recognition and to practice as an openly LGBT elected official in Breaking Through*. We've saved you some shorts as well as 4 eclectic features: the worrying situation for LGBT people in Russia, with Moonlight People*; first childhood loves, with Anita's Last Cha-Cha; couples and desire, with Concussion and ageless passion in Tru Love. 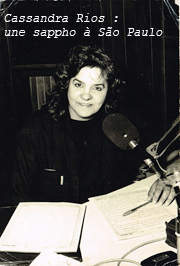 Cineffable has the sad honor of paying tribute to Maria Klonaris, who passed away last January. A major multi-media artist, Maria Klonaris was a filmmaker, a multi-disciplinary visual artist and a theoretician, one of those women who invents filmmaking, invents a form, designs an oeuvre, alongside Katerina Thomadaki, who we are pleased to have with us for this tribute. Nicole Fernandez Ferrer, director of the Centre Simone de Beauvoir will be present. Starting in the 1970s, Maria Klonaris co-created with Katerina Thomadaki, a great number of films (in Super 8, some of which have been restored in 35mm by the French Film Archives of the CNC), videos, photographs, multi-media installations, performances, artists' books and audio and radio pieces. 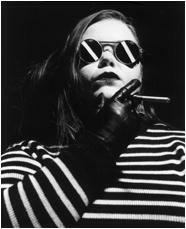 As a true "couple" of artists, they considered themselves a "double auteur" and signed their creations Klonaris/Thomadaki. Figureheads of experimental film, pioneers in hybridizing art and technology, their shared work led to the Corporeal cinema, which they launched, practiced and theorized, by integrating "the political dimension of feminine identity" into their cinematographic language. Then with their sage, Le Cycle de l'Ange (The Angel Cycle), begun in 1985, they proposed and theorized intersexuality as a subversion of sexual identity and intermedia as a necessary transgression of the divisions between arts and platforms. In collaboration with these two artists, the audio-visual department of the National Library of France has constituted a Klonaris/Thomadaki collection in it "Archives et Manuscripts" section. A pulsar is a galactic object, a star composed of neutrons born through collapse that emits a powerful electro-magnetic field - radio waves, X impulses and syncopated optical frequencies. Pulsar is part of the Cycle de l'Ange. In this cycle of works, we create connections between the human body and astronomical bodies. 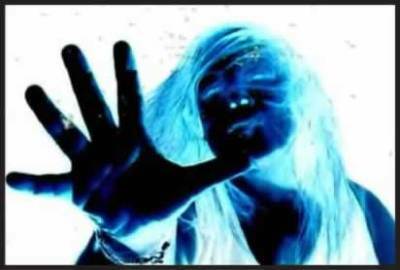 Maria Klonaris's improvised performance is a negative dance, walking a tightrope between glee and catastrophe, black and blue movements grappling with the white of the screen and the dazzling luminosity of fireworks.